Let’s make it a best seller! Had a really good time with my sisters both from King’s Church Gillingham and King’s Church Chatham. 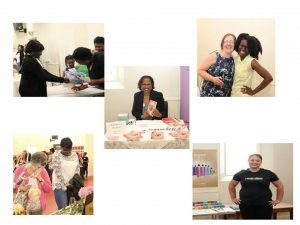 There we were showing off our gifts and talents in the form of our businesses that we have either started or in the process of doing so. Sarah Trotter, from the Chamber of Commerce came along to give us advice on how to set up and grow a business. God be praised! We had a wonderful time.